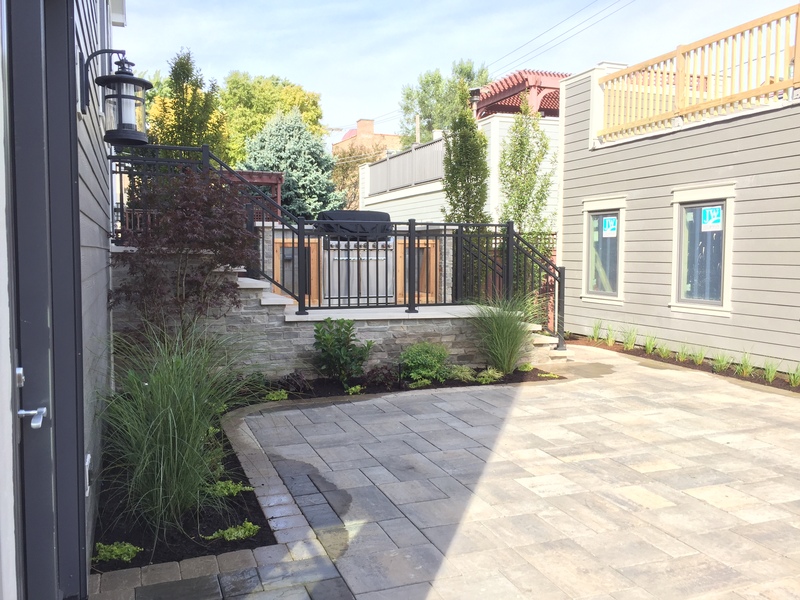 The main idea of this project was to create as much hardscape space as possible while keeping some planting areas to still give the area a backyard feel. 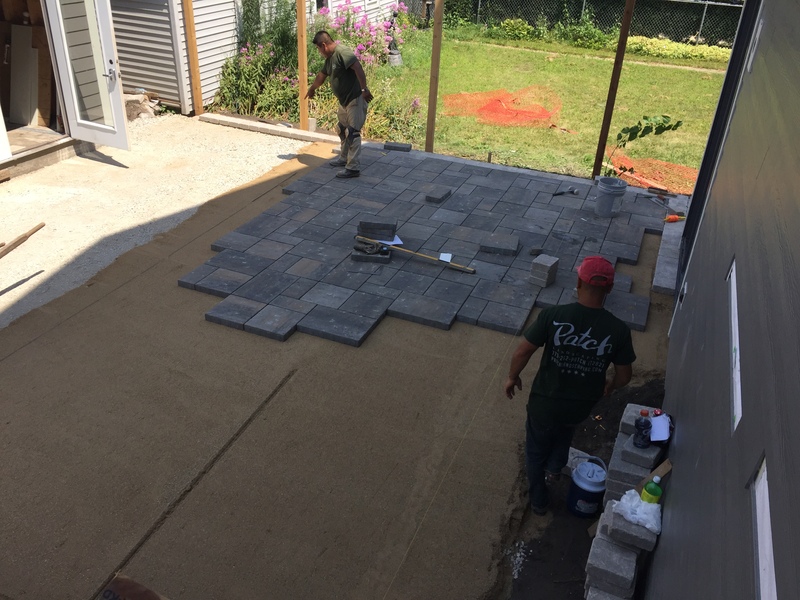 The pavers are large enough for kids to run around on or even play basketball. 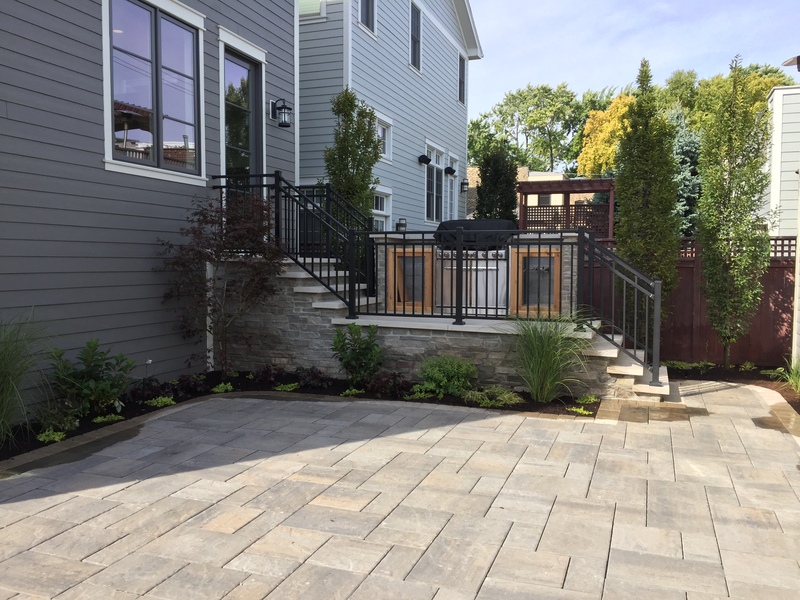 The plantings are simple, yet soften the hard lines of the stone and stairs. Design by Brian Dreher.